Elite Athlete Care FOR EVERYONE! Do you always wonder why professional athletes return to sport so quickly after injury? Because they get the best possible physiotherapy treatment from expert physiotherapists using the best and most up to date treatment techniques based on contemporary research, not social media fads and snake oil treatment! This is what we offer EVERYONE who visits Star Physio, whether you are an elite athlete, wannabe, has been or never will be! The Star Team are experts in their field to give you accurate diagnosis and the right treatment to get you back on track as quickly as possible. Strength and Conditioning for rehab, prevention and performance. 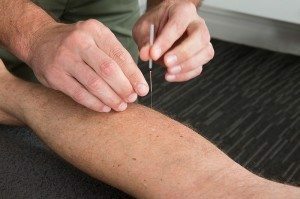 The methods we use at Star Physio in Perth are all clinically proven and evidence based physiotherapy techniques. Your treatment might include soft tissue therapy and joint mobilisation, dry needling/acupuncture, posture and movement education, guided rehabilitation and exercise routines, and in the case of cyclists, a professional Bikefit. Your therapist will always explain the technique being used and the results you can expect to achieve. 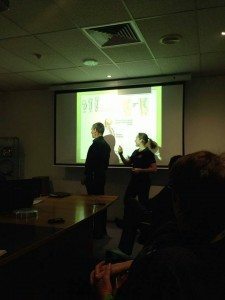 Star Physio Perth is proud to be associated with both Curtin and Notre Dame Universities with a number of our physios actively involved in teaching and research in the Schools of Physiotherapy. In addition, we have a PhD physiotherapist at our clinical and rehabilitation teams as well as post-graduate trained staff. Our treatment is based on the most recent and evidence based methods to give you the best chance of the fastest and most complete recovery possible. As well as running regular education sessions within the clinic, we attend many major conferences nationally and internationally in our fields of expertise, with multiple members of our staff presenting at these conferences. At Star Physio Perth we are proud to be associated with the many elite and professional athletes who trust us with their care every day. 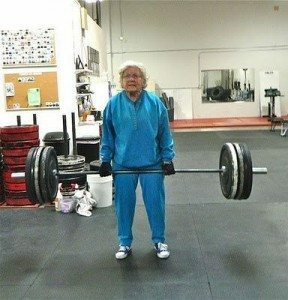 However, we treat a wide range of clients and our doors are always open to athletes and “spectators” alike! We treat every clients in exactly the same way, with a thorough examination, accurate diagnosis, expert treatment and a plan to get you back to where you want to be – whether it’s breaking a world record or enjoying playing with your kids or grandkids pain-free. Our goal is the same for every client: to give you an exceptional physiotherapy experience. At Star Physio Perth we are well equipped to deal with any musculoskeletal injury, but we are proud to be the industry leaders in research and management of tendon pain and tendon disorders. Tendon pain includes Achilles tendinitis, jumper’s knee, tennis elbow and shoulder tendinitis, to name a few examples. Our Clinical Director Dr Merv Travers and our Rehabilitation Director James Debenham specifically look at tendon pain, tendon loading and tendon dysfunction and are published in international journals and considered among the best in the world in this field of study. Led by our directors, all of the Star Physio team are extremely well educated in the latest evidence and management techniques of tendon problems, and we pride ourselves on our management of chronic problems where other treatment plans have failed. If you think there is nothing more that can be done for you tendon pain, give one of our experts a chance to review you – you may be pleasantly surprised to find that there is a way to return to those activities that you thought were a distant memory! Check out James passing on some of his knowledge on how to begin managing your tendon pain in the video below. Most of us spend 8 hours a day at work, 40 hours per week. That’s a long time to spend in potentially harmful positions or completing activities incorrectly. It’s therefore vital to look after our bodies during this work time to prevent it leading to painful overuse injuries. The best way to do this is with appropriate education, environment adjustment and improving your body’s ability to handle activities and postures. An ergonomic assessment and appropriate manual handling training is essential to ensure your work environment and activities are not causing your body harm. An ergonomic assessment looks at how your environment affects your body position. Examples include things like the height of your desk, chair tilt, keyboard and mouse placement and screen height. By looking at all these factors your physiotherapist can ensure your body is in the best position to prevent any injury. Manual handling refers to any activity or sequence of activities that require a person to use their body to perform work. This can include pushing, pulling, carrying and holding objects, and repetitive or prolonged postures. There are correct and appropriate ways of completing tasks such as these, if completed with the correct technique and strength the risk of injury is greatly reduced. A physiotherapist can train you to perform manual handling in the most biomechanically efficient way possible (such as lifting techniques) to reduce the risk of overuse injuries. Another common cause of workplace injury is weak muscles that can’t lift large amounts of weight or hold the body in a position for a period of time. Whether you’re lifting heavy boxes or trying to hold the correct sitting posture at your desk, weak muscles put you at a greater risk of injury. Star Physio Perth runs group strengthening classes ideal for preparing the body for work. We can also provide manual handling training and ergonomic assessments to make sure your body and your environment are in prime working condition. Call us on 08 9481 1003 to make a booking at one of our Perth clinics today. Is there something else you need that we don’t have listed here? We probably do that too – contact us to find out. Perth Medical Centre is conveniently located downstairs from Star Physio’s Hay Street Mall clinic in Perth CBD. We’re pleased to work closely with these great GPs. Our West Perth clinic is located within the same building as Perth Orthopaedic and Sports Medicine Centre on Outram St.
Perth Ortho are Perth’s leading orthopaedic surgeons and have an exceptional group of Specialists who we continue to work closely with. Our relationship spans over 20 years allowing a close association in care for patients requiring pre and post operative care to achieve optimum results. Our close professional ties also allow Star Physio experts access to priority bookings for our clients when we need access to additional orthopedic or sports medicine expertise. We pride ourselves in knowing what we know, as well as when we need to call on different expertise to assist our patients.